The origins of Neocutis date back to 2003, when researchers discovered that fetal tissue had a wonderful ability to heal itself without scarring. The company used that technology to develop a line of skin care treatments that utilize Processed Skin Cell Proteins or PSPs in their formulas. Some of the best-known Neocutis products for cosmeceutical purposes are Neocutis Bio-Restorative Skin Cream and The Neocutis Lumiere Bio-Restorative Eye Cream. The Neocutis Lumiere Bio-Restorative Eye Cream combines PSPs with hydrating ingredients like sodium hyaluraonate for brighter, younger looking eyes. DrSkinSpa.com is an Authorized Retailer of Neocutis. All Products are Guaranteed Authentic & Fresh. The origins of Neocutis date back to 2003, when researchers discovered that fetal tissue had the wonderful ability to self-heal without scarring. The company used that technology to develop a line of skincare treatments that utilize Processed Skin Cell Proteins or PSPs in their formulas. 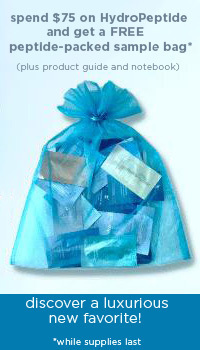 PSPs are the primary ingredients used in all the Neocutis products. These proteins were derived from a one-time fetal donation and are stored in a designated cell bank for future use. The products do not directly use original donated tissues in any way; instead, they use the proteins derived from the cultured skin cells. No further donations will ever be needed in the production of the Neocutis formulas since the cell bank is capable of producing millions of proteins for this purpose. Neocutis researchers have found that aging skin has many needs similar to those of wounded skin in terms of causing rejuvenation to take place. The growth factors and cytokines found in the PSPs provide the perfect synergistic blend to promote reversal of the environmental damage that led to the aging process in the first place. One of the best known Neocutis products for cosmaceutical purposes is the Neocutis Bio-Restorative Skin Cream. This formula uses PSPs to reduce the appearance of fine lines and wrinkles and improve skin texture and tone. The Neocutis Lumiere Bio-Restorative Eye Cream combines PSPs with hydrating ingredients like sodium hyaluraonate for brighter, younger looking eyes. In addition to smoothing out fine lines and wrinkles in the eye area, the Lumiere eye cream also reduces the appearance of dark circles and puffiness that are commonly seen during the aging process. 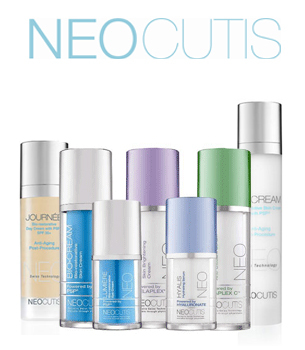 Neocutis offers a truly unique approach to skincare that will not be found in any other skincare line. This Swiss company discovered, through research in wound healing, that proteins found in fetal cells could effectively stimulate skin renewal that promotes healing and enhances the overall appearance of the skin. The company began as a treatment for wounds and other skin disorders, but eventually evolved into a cosmeceutical skincare line as well. Neocutis products are only available in the United States with a doctor's prescription, but can be found through a variety of online retailers. The same cell bank that is used to produce treatments for these conditions is now also used to produce effective skincare formulas that are only available with a doctor's prescription. Products like the Neocutis Bio-Restorative Skin Cream can be used to fight the effects of aging and as a post-procedural treatment option. 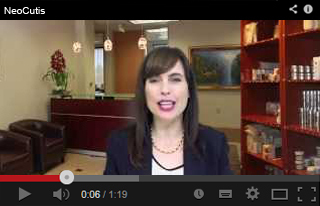 PSPs are the primary ingredients used in all the Neocutis products. These proteins were derived from a one-time fetal donation and are stored in a designated cell bank for future use. The products do not directly use the original donated tissue in any way; instead, they use the proteins derived from the cultured skin cells. No further donations will ever be needed in the production of the Neocutis formulas, since the cell bank is capable of producing millions of proteins for this purpose. 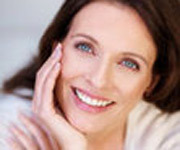 Anti-aging skincare products have produced particularly stellar results using PSPs in their formulas. Neocutis researchers have found that aging skin has many similar needs to wounded skin, in terms of the need for rejuvenation to take place. The growth factors and cytokines found in the PSPs provide the perfect synergistic blend that promotes healing of the environmental damage that led to the aging process in the first place. One of the best known Neocutis products for cosmecuetical purposes is the Neocutis Bio-Restorative Skin Cream. This formula uses PSPs to reduce the appearance of fine lines and wrinkles and improve skin texture and tone. The Neocutis Lumiere Bio-Restorative Eye Cream combines PSPs with hydrating ingredients like sodium hyaluraonate for brighter, younger looking eyes. In addition to smoothing out fine lines and wrinkles in the eye area, the Lumiere eye cream also reduces the appearance of dark circles and puffiness that are commonly seen during the aging process. Neocutis uses cutting edge technology to produce prescription-grade formulas that offer stellar results. The same science that has led to amazing strides in the field of wound healing is now coming to the cosmetic market as well. If you are looking for an effective way to turn back the clock on your complexion, talk to your doctor to find out if Neocutis products are the right choice for you. I love being able to go online and get answers to all my skin care questions. At DrSkinSpa you can talk to an esthetician and get help with what you need to do to help your skin. What a relief! I have been looking for skin care products for so long that really work and do what they say they are going to do. Go to DrSkinSpa and you will get the answers you need.